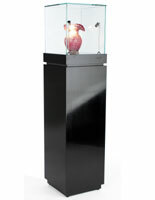 Black laminated base is durable yet stylish. Inexpensive price is perfect for budget-conscious shoppers. 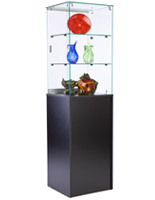 Clear acrylic top, not tempered glass, lets viewers see from all 4 sides. 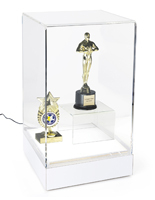 Acrylic top, with provided screws, keep displayed items protected. 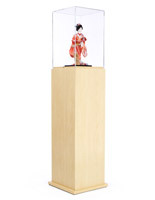 This pedestal display case features a simple locking design that is ideal for museums and special exhibitions. 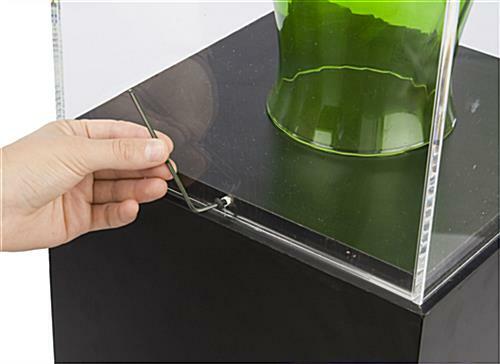 The acrylic case locks with an allen wrench to protect items from tampering. The matte black finish suits any decor. 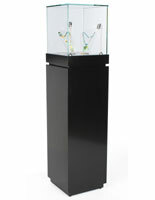 The low price point makes this display case a very affordable option for individual or bulk purchases. 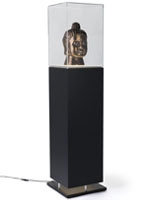 Please note that this display works well in museums, but because the case is acrylic and not glass it is not true "museum quality." Assembly was so easy! Delivery was prompt! 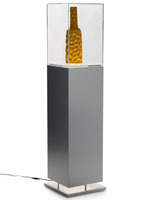 It was exactly what was needed to display a sculpture and keep it secure in a heavy traffic area. Thank you for the great review, Fern! 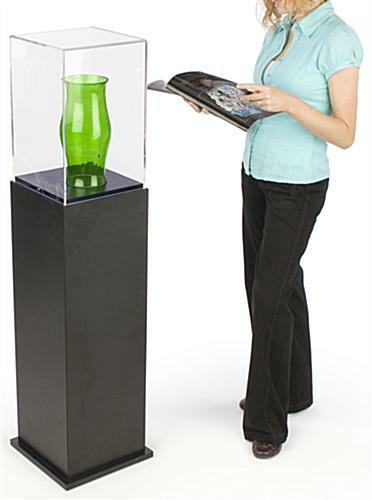 We strive to provide products that are easy-to-use and assemble, and we're glad that this pedestal was exactly what you needed to display your sculpture securely to the public. Ordering was simple and easy and ground shipping through FedEx was here in less than a week! 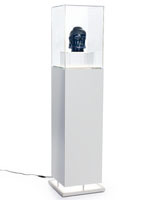 Once it arrived, I opened the packaging to find a well protected pedestal and a well protected case. Couldn't be more pleased with this product a the simple yet classy look. We are so happy to hear that you were satisfied all around with your recent experience Steven and we hope to hear from you in the future! Ordered this to display an expensive piece of pottery in my home. Delivery was very fast, the packaging was fantastic - nothing damaged, and the product itself is great. Fits perfectly for what I need and I was very happy that the item was delivered assembled. 5 stars!